Compared to a software development team, this would mean someone, say testers, would need to refactor and clean the code each time it is being committed, to ensure that the code is in a good-enough state for the next programmer to visit the code. Coming back to air-planes, I have first noticed these signs many years ago. I thought they were new, but I can only guess they existed long before then. The idea is that each visitor should leave the wash basin just slightly cleaner than before he or she used it. 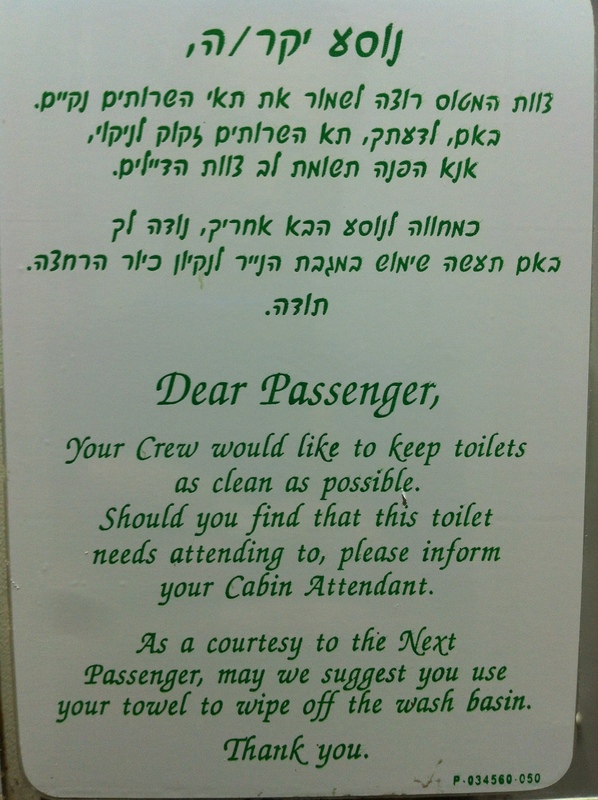 Maybe a bit cleaner than how it was received, assuming that not all passengers read this sign. I made a short survey that revealed that there are frequent travellers that did not notice these signs, although they have used the restrooms during flight in the past. So next time you visit the team’s code, as a courtesy to the next team member, may we suggest that you refactor, just enough to leave the code slightly better than how you found it. Nice thought but a clean-up of the code is a developer’s responsibility. A tester, ideally, should not even look at the code and work from the requirements.